Making sure your book drives revenue in your business...is our specialty! 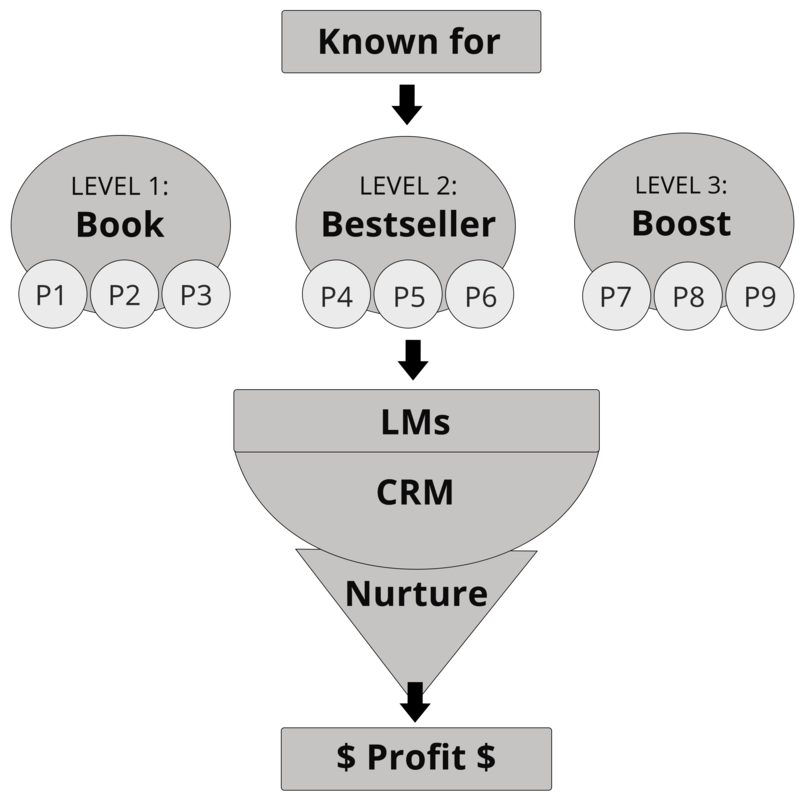 The diagram to the right shows the proven plan for how to *actually* make a profit from your books as a business owner or thought leader. This is the roadmap we follow together in the Book Profit Accelerator! Read more about the 3 levels and 9 P's below! Write, edit, format, and cover design. Your great book will serve you and your audience for the rest of time. 8 Week Action Plan, your book will check all the boxes. #1 Bestseller on Amazon will be yours! Get your book (and you!) discovered on the 8th most visited website in the world. Using the T.R.A.C.K. Formula to publish your Kindle and print book to #1 in your relevant categories. Audio book publishing too, if you wish. Exposure, leverage, new opportunities. Instant credibility, more media, new leads, and higher-ticket sales. Let's go! Using the S.U.P.R.E.M.A.C.Y. Model, it's time to get more income, influence, and impact with your books. Now it gets really fun. It's your turn for a profitable book 'that pops' in your business!